Fishing reels can be difficult to pick especially when there are so many options in the market today. It is very hard to figure out who makes a quality reel vs who can put together a nice looking exterior. That is not something you want to figure out when you’ve hooked into a silver king on the flats. The reason I’m focusing on spinning reels for inshore use is because they are easy to use, easy to service, and easy to clean when they inevitably get dunked in saltwater. Spinning reels also prevent unnecessary issues when you’re on the water, like backlash and bird-nests, and they have reliable drag. Reel selection is very important, and reel quality even more so. When I go inshore fishing I usually bring a number of rods. Some of them are outfitted with a couple of reject reels just so I have them on hand if needed. Of course those are the ones that get hit by fish, except in this case it was a shark, and that shark really put a hurtin’ on my low quality reel. Not only did the inconsistent pressure from the drag cause weird pulsating vibrations, but the reel was also torquing at the neck, because come to find out it’s made of some very thin metal with plastic molded around it. No way is that going to stand up to a strong fish, and long story short, it didn’t. Simplicity – Ability to easily break down and clean and simplicity in design. This also means opting for front drag which is smoother and more consistent. Material – Bottom line on top; opt for aluminum, stainless steel, or graphite. Magnesium is a great material for lightweight high quality bass fishing reels, but it will corrode quickly and is a poor choice for fishing in saltwater. My personal favorite is aluminum with stainless steel components for saltwater fishing. The aluminum is lightweight, strong, and will not corrode. Another alternative is graphite which will work equally as well and is quite strong, but my personal preference is aluminum. Just like I will never buy a reel with an EVA foam handle, it doesn’t feel right. Corrosion Resistance – Look for reels that feature a sealed rotor and non-rusting metals. This means stainless steel main shaft, bearings, and internal parts. I’ll repeat myself again, stay away from magnesium since it is easily corroded by saltwater. 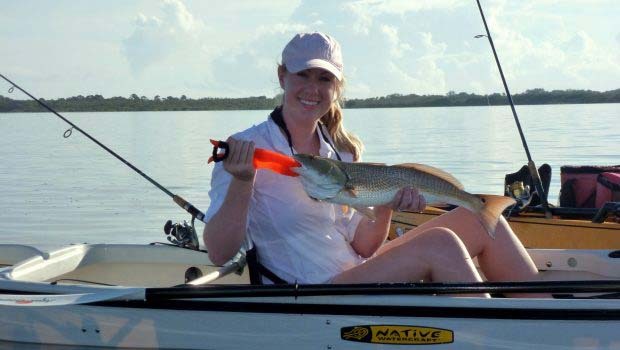 Size – 3000 to 4000 is perfect for inshore fishing and it will handle any fish you’ll encounter in the backwater if you spool it right and know how to fight the fish. You may also see these sizes listed as 30, 300, 3000 – 35, 350, 3500 – 40, 400, 4000 depending on the manufacturer. That’s just different strokes for different folks. Drag – Strong and smooth drag is the most important aspect here. When you have a large fish you don’t want inconsistent pressure when it’s taking line. This could cause your drag you have set at the right weight to jump up and peak at double that which will easily snap your line. Not to mention fishing with a reel with rough drag just feels like you’re scraping a shovel on a driveway, it’s bumpy, loud, and rough. Only get a reel with front drag since it has larger drag washers, it is smoother, it is easier to adjust, and it is more consistent. Also look for reels that have a good sealed drag to prevent sand and salt from getting in the gears. Smooth is the name of the game with this reel. It has a smooth retrieve, smooth drag, and smooth looks. I personally own four Stradic reels and I truly believe that this is the best all-around choice for inshore fishing. They have landed redfish, trout, black drum, snook, sheepshead, and unfortunately catfish with ease. One area the Stradic reel dominates is the strength to weight ratio. It is a superb reel that only weighs 8.3 oz yet still has a 20 lb max drag. This reel most often goes head to head with the Shimano Stradic if you search forums online. If you aren’t a fan of Shimano and want an alternative then the Daiwa Ballistic is the reel for you. It has a fully sealed rotor with magnetic oil to keep out sand and salt and prevent corrosion. It is a bit heavier than a Stradic but it is solid and doesn’t have any play in the gears, which is exactly what you want to handle a muscular inshore fish. Only downside here is you can’t buy the magseal oil so if it needs to be serviced you have to send to Daiwa. The Abu Garcia Revo is an already proven reel design which has been customized even more for hard fighting inshore fish. You just can’t go wrong with this choice and it’s an absolutely beautiful yet still aggressive reel. The upgrades from standard are an insert molded carbon body design, aluminum main gear, and carbon matrix drag system. Not to mention the drag and retrieve are both butter smooth and the reel comes in at a pretty light weight of 9.4 oz. I added the Shimano Sustain in a 4000 size to this list which gets you more line capacity and drag power than the 3000. The Sustain is the most expensive reel on this list, but it is well worth it. If you fish a lot you understand that it’s hard to put into words what a high quality reel feels like, but you know it when it’s in your hands. That’s absolutely the case here. It has a beautiful drag system, smooth casting, nicely sized handle, and upgraded components. You may not notice some of the upgrades in the reel off the bat, but I promise you will when comparing it to a different reel after several years. The gears and bearings will last longer because they’re better quality to begin with and they’re better sealed from the elements. If you want to upgrade from most of the reels on this list, then the Sustain is the way to go. I would put this on every inshore rod I’ve got if I had the money. The Conflict is an upgraded version of the Penn Battle II that you’ll come across further down on this list. You pay more but you get more which is something I really like about Penn. Their spinning reels are easy to understand. You start at the bottom with Pursuit, then step to the Fierce, then comes the mid-level Battle, if you have more cash you can buy the Conflict or Clash, then you have too much cash and you buy the Slammer. Each one is a step up with more features and higher quality parts. I chose the Conflict because it is at a good price point and offers the best bang for the buck. It isn’t particularly stylish and in the words of Henry Ford, ‘You can have any color you want as long as it’s black’. The reel’s potential is all hidden beneath the exterior. It has 7 sealed stainless steel bearings as well as a sealed and smooth drag with a great Penn drag clicker that we all love to hear. I like it when a company makes a tough saltwater reel that is produced up to the massive 100 and 120 sizes, but then also scale it down so you can use it inshore. That is what Quantum has done here with the Cabo. The reel has awesome features that were designed to stop a yellow fin tuna run, then it’s just scaled down into a size 40 reel but the design and technology is still there. Think that can handle a few spot tails on the flats? You bet it can! The Cabo has an incredible drag system, almost certainly the nicest on this list, which tops out at a max of 30lbs which is just stupid strong. If you’re interested in a super in depth review of the drag and reel internals check out Alan Hawk’s breakdown. There isn’t much lacking in this reel, definitely a top choice for some of the larger fish you’ll encounter inshore. The Penn Battle II is just an excellent reel for the price and it had to be included in our list. Everything on this reel is heavy duty and thick, so while it will hold up to abuse it may not be your go to reel if you’re going to be casting lures all day. This would be a good live bait reel and it will handle strong fish with ease. The Battle is one of the best reels for the money and is very popular with saltwater anglers. I’d recommend the 3000 size for inshore fishing and you can find it online for much less than the listed MSRP. The Okuma Trio HS is a hybrid reel which is a mix of aluminum and graphite construction. It has an aluminum stem, handle, and rotor, and it has graphite side plates and foot. While I think it’s ugly as sin it performs very well, it will not rust due to the materials and coating, and it has a longer profile which some anglers definitely prefer. It also uses ten stainless steel bearings for a very smooth retrieve and drag. The handle is an EVA foam, which can be a pro or con depending on who you’re asking. The reel is definitely solid however, and for $90 it is a great deal. Quantum has produced a feather-light reel with the Smoke Inshore that takes the title as the lightest on the list. It weighs just 7.9 oz which is astoundingly light and it’s obvious how Quantum was able to get down to this weight; just look at the engineering cutouts the aluminum stem, handle, housing, and spool. The reel is also geared with a high 6.2:1 retrieve ratio. That combined with the light weight makes it perfect for someone looking to sight fish inshore with topwater lures or fast retrieve cranks. This one arguably is too large and heavy to be an inshore reel with the smallest size being a 5000, but I felt it should be included because it’s a top contender and can be relevant depending on the inshore species and size you’re targeting. 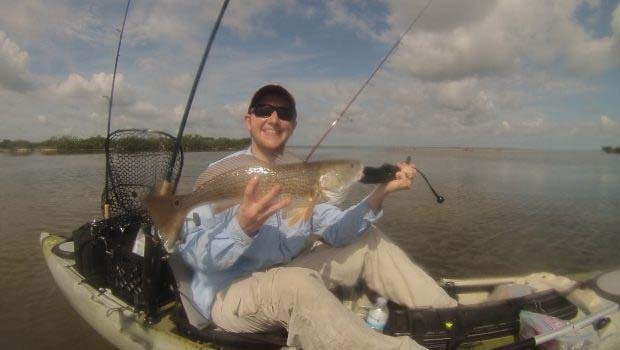 There are definitely some bull reds, tarpon, and snook hanging around inshore canals and jetties that would take every bit of this reel to bring in. Also you can easily transition this to a nearshore rig as well to have it serve a dual purpose. The Saragosa just feels high quality and strong when you pick it up. The egg handle lets you reel big fish easily and the simple and low gearing on the reel really lends itself to saltwater fishing. This is a working man’s reel built for reliability and strength. These spinning reels listed are really some true work horses. This is where the smart money is and you can get a high quality reel for a good price that will last a long time if you take care of it. You can’t go wrong with any one of these reels for inshore fishing. Which is the Best Spinning Reel for Inshore Fishing?